DETROIT -- Nine years after emerging from bankruptcy protection, Fiat Chrysler Automobiles could -- by June -- finally join other major automakers that have more cash on hand than debt on their books, while the company's next CEO won't be revealed until later this year, FCA CEO Sergio Marchionne told reporters Jan. 15 at the auto show here. 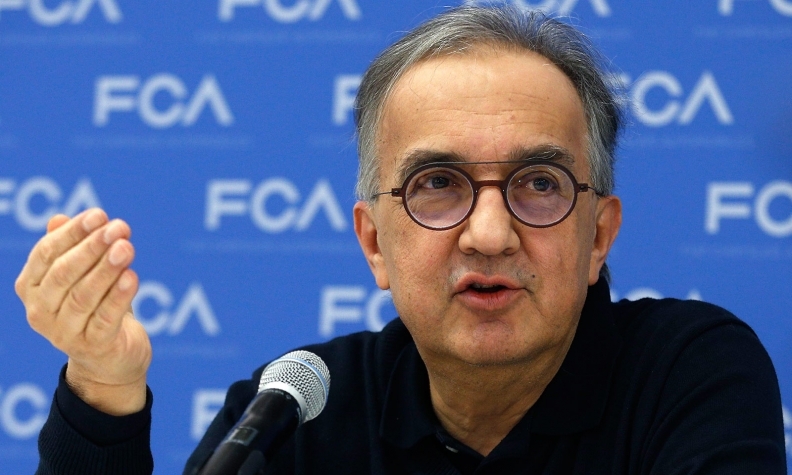 Speaking at his annual press conferences here, Marchionne, entering his 15th and final year running the automaker, said the automaker could finally have more cash on hand than debt by mid-year as it works to meet aggressive financial targets set in 2014. "That [debt] problem is on the way out," Marchionne said, reaffirming the company's financial targets to generate up to $9 billion (all figures in U.S. dollars) in operating profits this year. "Finishing the year with cash on your balance sheet instead of debt is a big, big step for us." FCA "needs a metric-ton truck" for its international product portfolio, and that it will be made in Mexico and would be marketed under the Ram brand in almost all locales, but likely won't come to the United States.